Ocean acidification is receiving greater attention from marine scientists as ocean waters worldwide have been found to be getting more acidic. Absorbing and storing carbon dioxide from the atmosphere, the world ocean – including the plankton, coral and shellfish that live in it – is the largest carbon sink on the planet, but its capacity is limited. Atmospheric carbon dioxide levels are now so high that that limit is being reached, which is making ocean waters more acidic. Based on its latest findings on ocean acidification, the waters of Washington’s Puget Sound have been classified as “waters of concern” by the state in its latest report to the Environmental Protection Agency (EPA). Increasing acidity is already causing fundamental changes and problems throughout the Sound’s marine ecosystem and food web, which is reducing the supply of seafood and threatening the livelihood of the fishing industry, according to the Center for Biological Diversity (CBD) in Tucson. “Data show that ocean acidification is threatening the region’s ability to support fish and shellfish. It also makes the area a priority for environmental monitoring and assessment,” according to CBD. The world’s ocean absorbs and stores more than 22 million tons of CO2 every day, most of which is produced by human activities, CBD notes. 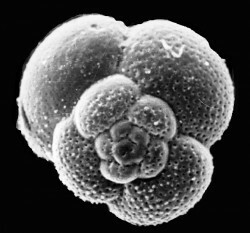 The world ocean has become 30% more acidic since pre-industrial times. Increasing acidity makes ocean waters more acidic, which stunts the growth of marine animals that use it to build shells and skeletons, causing deformations that compromise the health of these marine life forms. As plankton, coral and shellfish health and populations decline, the reverberations ripple across the marine food web, reducing populations of fish and other marine life forms that rely on them for food. One example is the inability of baby oysters to survive in regional Northwest coastal waters, a trend that’s developed over the past six years,which is partly due to increased ocean acidification. The increasing acidity of US ocean waters was not even considered as part of state environmental assessments for the EPA, until recently that is. A 2009 federal lawsuit filed by the CBD resulted in a November, 2010 decision by the EPA to direct all states to consider ocean acidification as a threat to water quality under the Clean Water Act. Still, the state of Washington decided not to classify its coastal waters as “impaired” by acidification, rather only Puget Sound was identified as “waters of concern,” a less urgent category, the CBD notes. Identifying its coastal waters as “impaired” would have required the state to curb carbon pollution.